I've been reading and hearing quite a bit about the new Downtown hotspot Charlie Bird, so was excited when my friend and I scored a table for two on the patio (it was 6:45pm, technically an early bird dinner, but still). The menu is comprised similar to a tapas menu and is quite eclectic. I've also read good things on their wine list. While I'm certainly not a wine aficionado, I did like the Vermentino we ordered. We shared a raw, small, pasta, and vegetable plate. 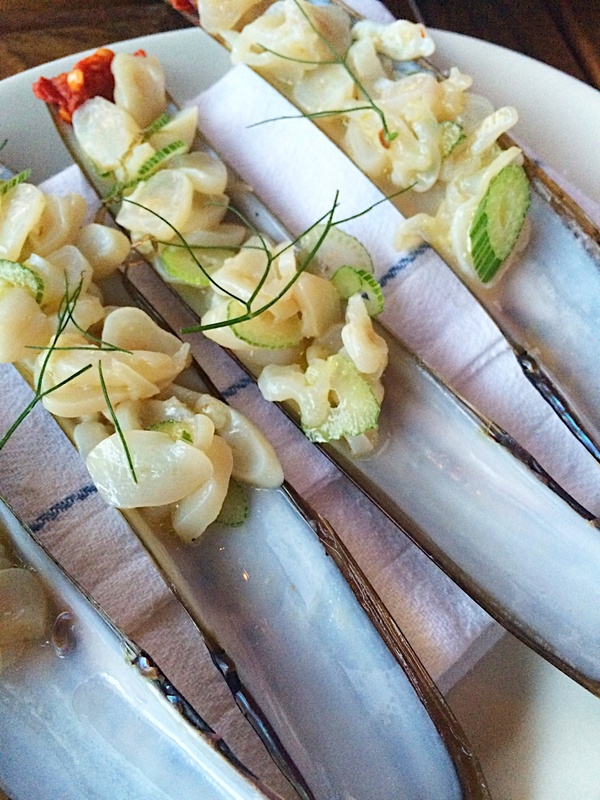 We started with the razor clams, delicate slivers of clams with a slight acidity balanced by sweet fennel and pickled chiles. Quite good. The octopus salad with chick peas and crispy prosciutto was good as well, but I prefer the octopus salad at L'Apicio. 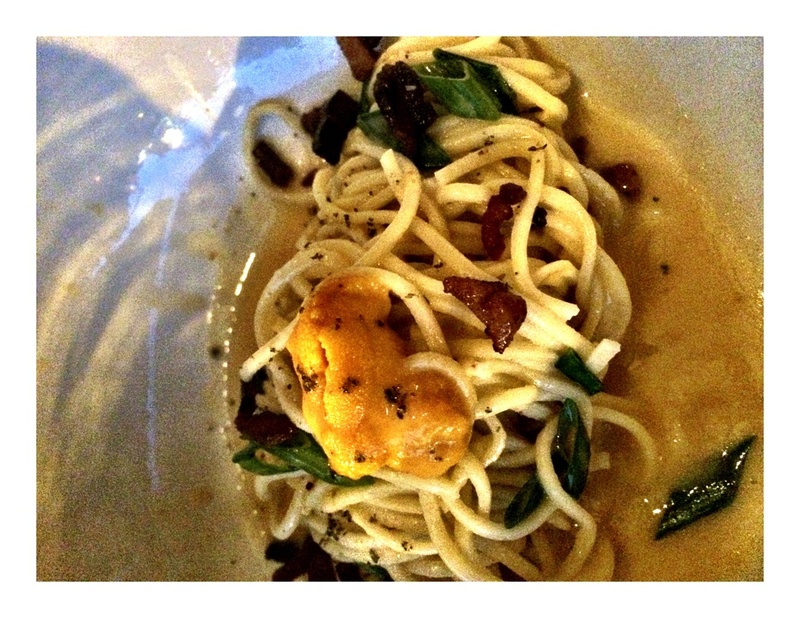 The pasta––a spaghetti with uni, bacon, scallions, and lemon––was an evening special, which used to be on the daily menu. Our waiter was excited that it returned for a brief encore. This was definitely unique and memorable, especially if you like uni. However, I found the noodles to be a bit too buttery and a little more lemon would have balanced out the dish. Our vegetable were fried squash blossoms with ricotta and anchovies. I loved this side, since they were light as air and salty, but I wish we had a few more to indulge upon. Overall, Charlie Bird is a fun, happening spot with a creative menu and good wine, but the portions are on the smaller side and the price adds up quickly, especially when you're ordering a bevy of plates.